Superverse Industries is a game development and publishing company based in Belgrade / Europe, founded by Nemanja Bondžulić in 2002. Superverse Industries d.o.o. is a company registered in Serbia under company registration number 21386138 and tax identification number 110782947. From its beginning in 2002. the company has been known under the name of Industry Entertainment.  In May 2018 the company name has been changed to Superverse Industries in order to better reflect the upcoming game release and avoid name conflict with a Hollywood movie production studio. Superverse Industries grew up from the similarly named demo-scene group, called Industry, whose main occupation was creating the demos (visually attractive computer-generated demonstrations executed in real-time) and the intros (limited forms of demos in terms of allowed file size, typically 64KB) for 8-bit Commodore 64 computers and 16-bit Amiga computers. Creating games was a logical next step as it required many of the skills needed to develop a demo. In addition to that Nemanja has discovered the world of portable computer devices, called PDA back in the days, that eventually turned into smartphones when phone capabilities became their inevitable part. The first game we created was MONSTA, exclusively developed for Palm OS devices. MONSTA is a turn-based game that combines strategy and puzzle genres. In the game, our hero, called Joe, has to find an exit of 50 levels filled with various monsters and obstacles. Player has to carefully guide Joe through the levels balancing between a number of turns he can spend attacking or defending against monsters. Jack BBQ is a 2D adventure platform game. The game has been published on Palm OS, Windows Mobile, Symbian S60 and iOS devices. Master Kick is an arcade version of table football (soccer) game combined with the realistic sound of the match and visual effects. Master Kick was initially released for Palm OS devices. Later it was ported to Windows Mobile and iOS, but also to Windows, OS X and Linux. A version of the game under a different name, Table Football XL, was released for Android and BlackBerry 10 mobile devices. After several years of inactivity, we have decided to make something new. Now, several years later after that decision was made, we are still working hard to create the game called SUPERVERSE. Several people played significant roles in Superverse Industries at certain periods: Arnold Čistai – pixel artist, Hervé Piton – pixel artist, Dejan Subotin – musician, Vladimir Ignjatijević – programmer.